Divinity candy is an American creation that appeared on the scene right around the same time as corn syrup, in the early 20th century. No surprise there, since the relatively flavourless syrup is a key ingredient in the confection. In fact, early Karo cooking brochures apparently featured a divinity recipe, and the current Karo website does too. Corn syrup has been a pariah of the food world these past few years. For a straightforward discussion on when you might want/need to use corn syrup as well as David Lebovitz’s personal philosophy on the issue (which I share), check out his 2009 post titled Why and When to Use (or Not Use) Corn Syrup. Obviously 1/2 cup of corn syrup is hardly a judicious quantity, but I don’t see myself making chocolate divinity candy a habit. So what the heck. After the fact, I learned that divinity candy can be a bit fickle when it comes to setting. Mine seemed to hold its shape just fine, although it remained quite soft (think Three Musketeers). Having nothing to compare it to, I declare my version a victory. Line a cookie sheet with lightly greased parchment paper. Set aside. Melt chocolate in a heatproof bowl over barely simmering water, stirring until smooth. Remove from heat and set aside. In a medium saucepan, combine water, sugar and corn syrup. Boil over high heat, without stirring, until the temperature reaches 255 degrees Fahrenheit. While the sugar mixture is boiling, whip the egg whites and salt in a large heatproof bowl until foamy. Once all the liquid has been added, beat on high speed until glossy, thick and cool (about 7 minutes). Beat in the melted chocolate and vanilla. Use a pastry bag with an extra wide tip, or a Ziploc bag with the corner snipped, to pipe small peaks onto the prepared cookie sheet. Let sit at room temperature for 2 hours before packing the divinity candy away in an airtight container. Candy will keep for up to one week at room temperature. Source: Food & Drink, Holiday 2009, p. 110. These look so pretty!!! Are they hard to bake?? they look like meringue, is the texture similar? Hi Chocolate Freckles! They’re not too hard to make, so long as you have an accurate candy thermometer close by. The texture is sort of a cross between nougat and marshmallow…if that makes any sense. Oh my grandma had about a million recipes for this in her recipe box and I’ve always wondered what it was. It looks really good! Divinity is a fickle creature indeed… a drop of rain falling outside can be the difference between bites of divinity and a puddle best consumed with a spoon… yours look positively marvelous. I’ve only had the white variety with toasted pecans, and just the thought makes me miss my grandma’s kitchen something terrible! Must try the chocolate. Hi @KitschenBitsch, I appreciated your comments here and only wish I had read them prior to attempting this recipe ;0) which I just wrote about and mentioned you in the post. 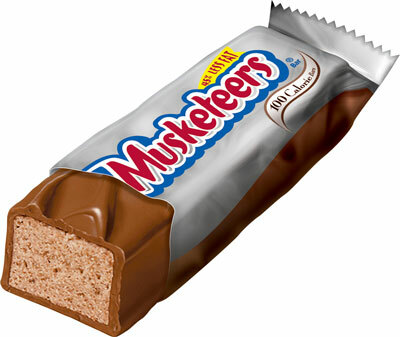 Actually if it’s like a 3 Musketeers, I think it’s a bit soft! I hover right around Firm Ball stage with mine and wait for the sugar to spin a fine thread off the spoon. Divinity is one of my favorite resurrected desserts and yours looks beautiful! I’m always too slow to get very pretty dropfuls when I use two spoons, because it has a rougher texture as it sets up. Found yours by Googling to see if I could pipe it! Thanks for the lovely post, for now I know. I agree I’ve always seen around 350 degrees and hard ball stage then beating until the gloss is gone. My grandmas says “only on a sunny say”! @KitschenBitsch: I’d love to try that pecan divinity you mentioned! Just made these tonight, super yummy! They are a bit softer than I’m used too. Next time I will cook them to about 260. But wow, super tasty! Thanks for the great recipe! Hi Rachelle—Thanks for sharing your divinity-making adventure. Makes me want to dust off this recipe and give it another go myself…on the next sunny day, that is. We could be waiting awhile for that here in Vancouver though. Happy new year!